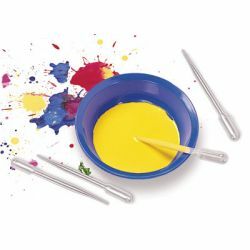 6" long paint droppers work great with watercolours and thin tempera! 8/pkg. Idea guide. Ages 4+.